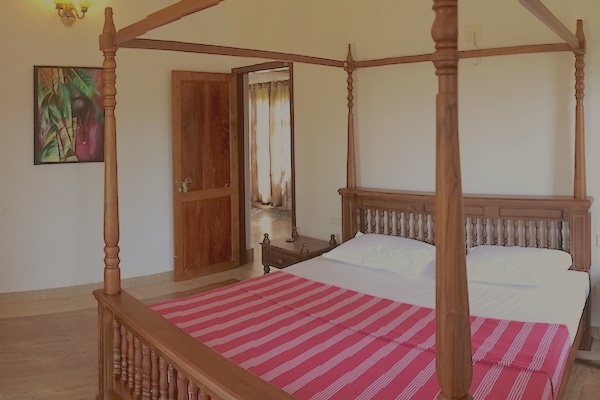 Rasa Gurukul is a stunningly beautiful riverside retreat among the tranquil coconut and spice groves of Kerala. The institute imparts traditional methods of cooking, farming and gardening in an environment that allows students and visitors to rediscover the elements of a traditional lifestyle, and through them, to re-engineer their lifestyles into a happier, purer, fresher and sustainable continuation. Traditional home cooking is about being involved with the actual ingredients from their very beginning. In the past, a mother would grow her own plants, spices and vegetables. Love, the divine connection, flowed through those ingredients with the subtle role of fingers and transformed them into energy as food. Students engage in the same tradition through activities on our organic farm to understand the birth, growth and harvests of their ingredients in order to develop absolute devotion to the art of cooking. The world has changed dramatically over the past decade with traditions loosening their grip over a modern, globalized society. Rasa Gurukul offers a unique and one of a kind total ‘Farm to Table’ experience that has no parallels today for discerning audiences. From a holistic solution of Organic & Natural productive capabilities, to a learning that incorporates nature at every stage, the Gurukul experience is transformative. The person, the awareness and the skills evolve with passion and resolve with a particular understanding of nature. When one looks at the traditions of man the world over, all lives over the centuries have been learnings and experiences handed down through experiences from the old to the new and from the older to the younger. That is what has kept the flame alive. Our lives live in the stories we know, it is in the music we have heard, it is in the arts we have learnt and it is in the nature all around us. Rasa Gurukul attempts to recreate those time values of development and it does so in a holistic sense.